The perfect program for any department who wants its’ members ready for anything. 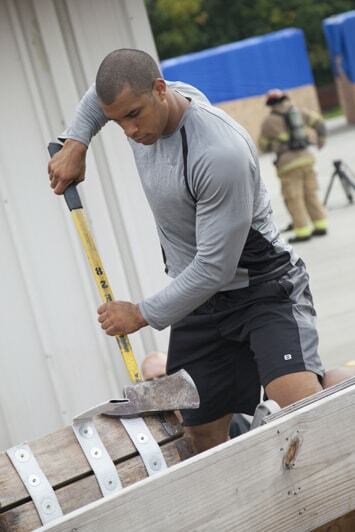 This class will teach you how to make some of the most exhausting tasks on the fire ground easy by improving your strength, power and endurance. These 8 Tasks, that make over 300+ variations, focus on Nozzle Advancing, Hose Pulling, Ladder Climbing, Roof Pulling, Rescue Pulling, Pike Poling, Rescue Pushing, and Flathead Striking. Aggressive Firefighter RBT will be sure to get your members’ heart rates up and improve their performance while reminding them to be ready for any emergency. This flexible program will teach you tasks that you can use in a standalone fashion or can be combined with other training programming. We want to work with your fire department! By reaching out to FD-PT about the Aggressive Firefighter RBT, you are taking an important first step in bettering the wellness of your firefighters. Please use the contact form below to request more information.